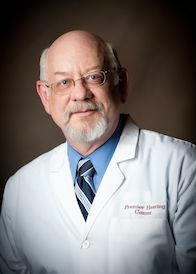 Dan Whitby is a Hearing Instrument Specialist licensed by the State of Texas and received his Bachelor’s of Science in Sociology from Ball State University in Indiana. Dan has been fitting and dispensing hearing aids for over 7 years in the DFW area. His fields of expertise are diagnosing hearing loss, hearing aid dispensing, programming, and working with assistive listening systems. His expertise extends to all levels of devices offered by all the major hearing device manufacturers. Dan is highly skilled in his ability to identify the level of technology appropriate for each individuals hearing loss, lifestyle and budget. He was in the missionary for 23 years and was the president of two non-profit agencies. He and his family have lived both in Guatemala and Russia.